Exactly what your little one needs to safely play in the water while having a joyful bath! The Papillon baby bath seat creates a developmental playground for your baby in the bath tub. Papillon is suited for babies 10-18 months old who can sit up on their own. Note: This is not a floatation device! Not to be used with babies who cannot sit up on their own! As the name would suggest, this baby bath ring is shaped like a butterfly (Papillon is French for butterfly), and it is this unique 4 winged butterfly design that gives the Papillon its stability in the bath tub. 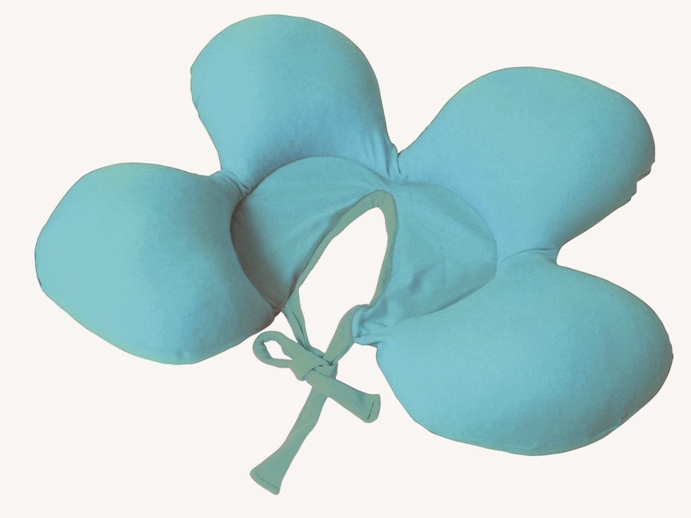 Papillon is designed like a belt that you tie around the baby’s waist with a soft fabric, so that it stays on the baby as he or she moves in the bath. 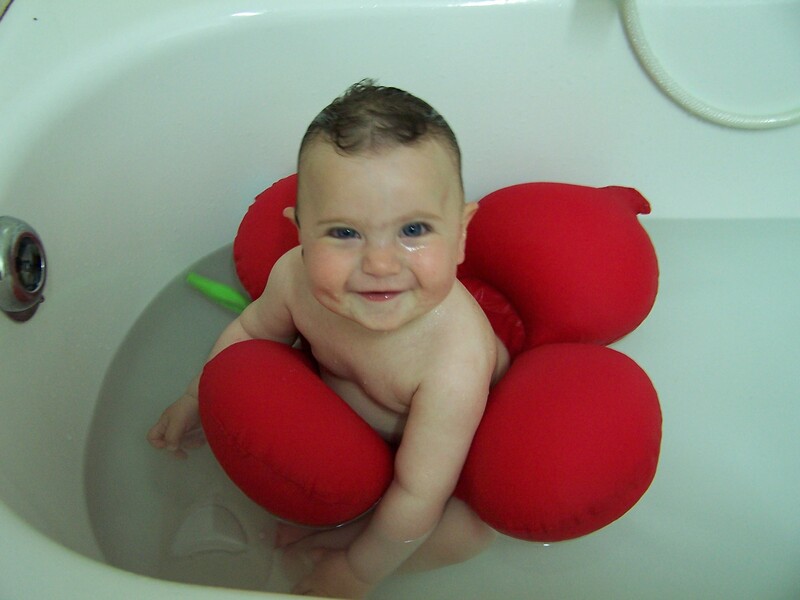 This allows babies of 10-18 months of age to develop their independence while enjoying a nice bath. By supporting the baby from all directions, Papillon creates a safe environment in the bath for babies to develop better motor skills and balance that are so important at that time in their young like when they are learning to stand and keep their tiny body steady. Papillon is suitable for both baby baths and regular sized baths, so you don’t need any other equipment in the bath – just tie the Papillon around the little one’s waist and you are set to go. How Does Papillon Compare With Other Bath Seats? Unlike plastic baby bath seats, Papillon is made of soft fabric filled with tiny Styrofoam balls, so it becomes just another part your baby’s joyful bath experience. It’s really easy to wash – you can rinse the Papillon in running water after the bath and machine wash (cold cycle) once every few days. 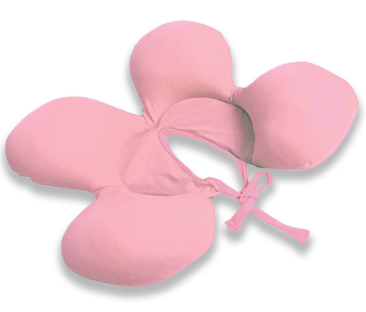 Papillon can be used while wet, so you don’t have to worry about drying it before each use, just hang it up in a well ventilated space after the bath is over. Papillon supports sitting babies when they are learning to stand. It is tied around the child’s waist and will remain there whether the child is sitting or standing. * This by no means implies that you should leave your baby unattended at any time during the bath. Safety requires that an adult be at arm’s reach from the baby during the bath time. With Papillon you can bathe your baby using both hands. Since Papillon holds the baby steady, you do not have to be holding a slippery baby with one hand while trying to bathe the little body with the other. Designed for babies who sit up on their own, from the age of 8-10 months to 20 months old. Light weight – only 6 ounce (170 gram). Filling: thousands of tiny Polystyrene balls. Give your child the gift of many happy moments during all the baths for months to come and help accelerate the development of motor skills and balance at this age where they are so important.